have been just playing around and screwing up with USB Modems for a while now. This brings me to know some very new things and I have also posted about them. 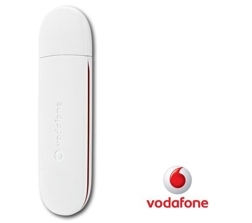 As you headed up to this post means you are concerned with Vodafone ZTE 3G USB Modem. I guess you have one or you are planning to buy one and carrying out some research. Well, all the one’s out there who owe an Unlocked Vodafone Modem must be using ZTE Join Air to connect to internet and I am pretty very much sure that you have an older version and must be looking for a newer one, well I am providing one here. The last ZTE Join Version is same as the new one, there are some bug fixes and this update works very well, tried and tested by me, infact I am using this newer version as I personally use Vodafone ZTE K3570Z 3G USB Modem. In the older version many of you must be having all the Vodafone Connection Profile’s by Default, but this one have none, guess it looks very clean to the one who are not using a Vodafone SIM Card in it. You have to create the Profile by your own choice and I guess you all know the information required to create a Connection Profile. Guess you guys are gonna love this Download of Vodafone ZTE Join Air Software Update. Note: All Download Links to Sharing Sites are Permanently Removed. We Regret for the inconvenience. Also, I have been working hard for creating a new Dashboard for the Unlocked Vodafone ZTE 3G USB Modem’s and how to get rid of the original one, I am successful in doing it and will be posting it soon. Till then enjoy this ZTE Join Air Software Upgrade. anyone can tell me how to use USSD in vodafone ZTE k-3570z unlocked dashboard???????? ?